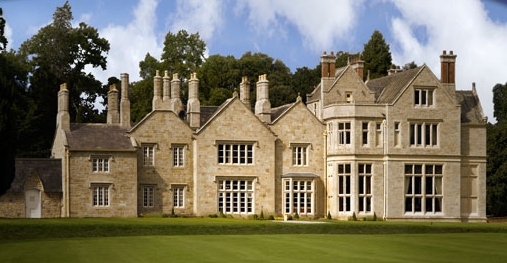 Seven (7) nights pre-booked accommodations in counties Donegal, Mayo, Galway, Kerry and Dublin. Hotels are subject to availability at time of booking and deposit. Substitutions may be needed if a hotel is fully booked and cannot accommodate. Supplements can apply should an alternate hotel come in at a higher price. Celtic does all possible to ensure the prices remain the same and hotels are booked as per itinerary. Pick-up economy automatic car from the airport. Your car includes Super CDW so you do not have to worry about adding additional insurance! Note, upgrades to larger vehicles are available. From here your adventure begins. Traveling northwest, to your beautiful coastal hotel in Rossnowlagh, Co. Donegal...perhaps your drive will take your through Mullingar, Longford and Sligo, where it's beauty inspired the poetry of WB Yeats. Make your way to your hotel, where you can relax and take a stroll on the beach or maybe schedule a spa experience. Overnight in Co. Donegal. Today we suggest you venture north and explore the beauty of Donegal. Travel through Killybegs and make your way to the Slieve League Cliffs, which will amaze. Continue on and perhaps visit the lovely town of Ardara (where you will lovely shops for knitwhere and crystal). Making your way back to your seaside hotel for overnight and a good nights rest after a day of exploring! After a hearty breakfast, you bid farewell to your tranquil retreat and head southwest along the coast. Perhaps a trip to Belmullet or Achill Island, where the coastal views are breathtaking. 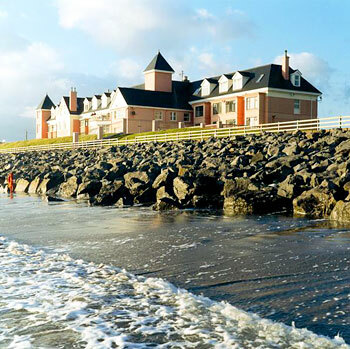 Making your way to Westport, a lively town on the edge of an Atlantic inlet. Westport is teaming with music and entertainment for you to enjoy. Overnight in Westport. Your day is free to explore the magificent Mayo region. 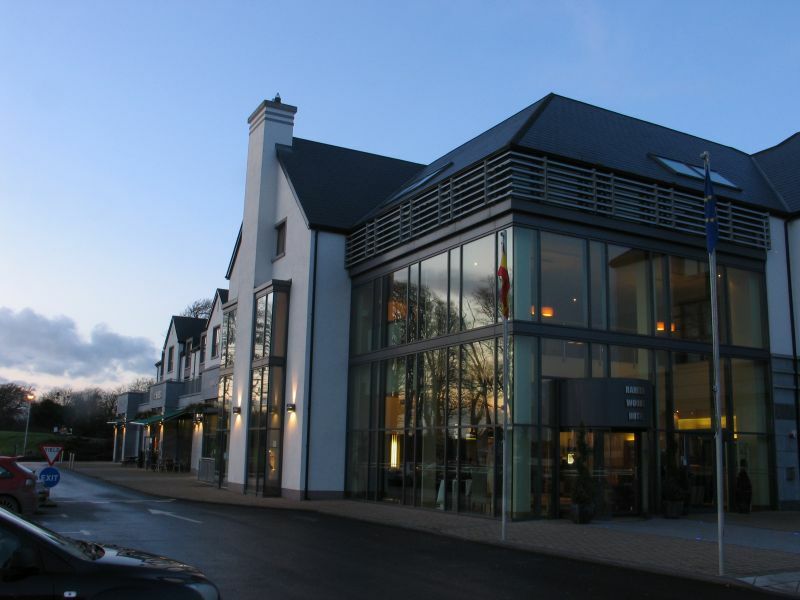 May we suggest a visit to the Connacht Whiskey Company in Ballina, well worth a visit! Return to your hotel in Westport for overnight. Continue on discovering the most incredible scenery Ireland has to offer as you make your way from Westport to lovely town of Athenry, Co. Galway. 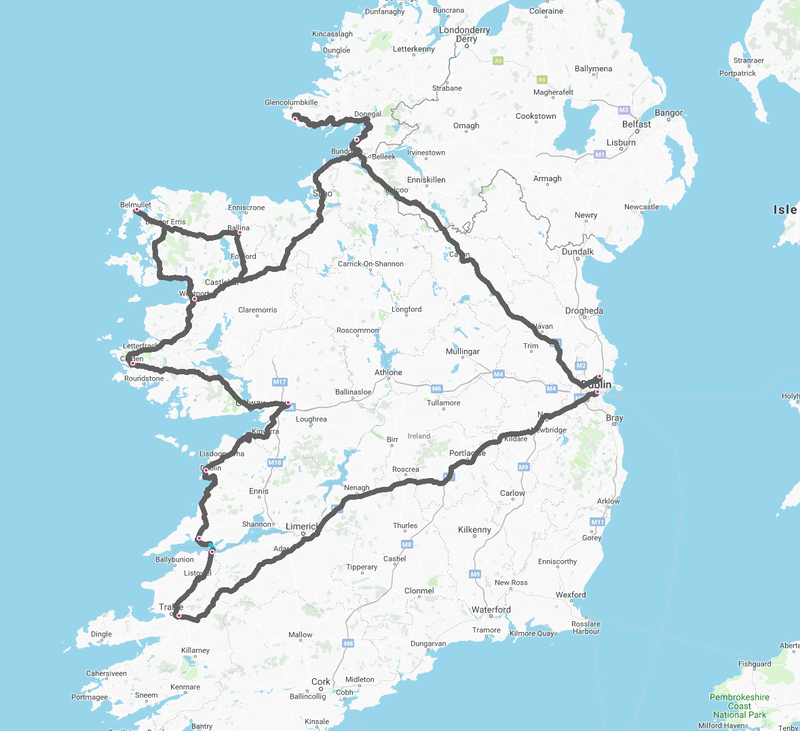 We suggest you make your way through the picturesque Connemara region, traveling through Clifden and Maam Cross. Then perhaps a stop in Galway city to explore before making your way to your hotel. Overnight in Athenry, Co. Galway. 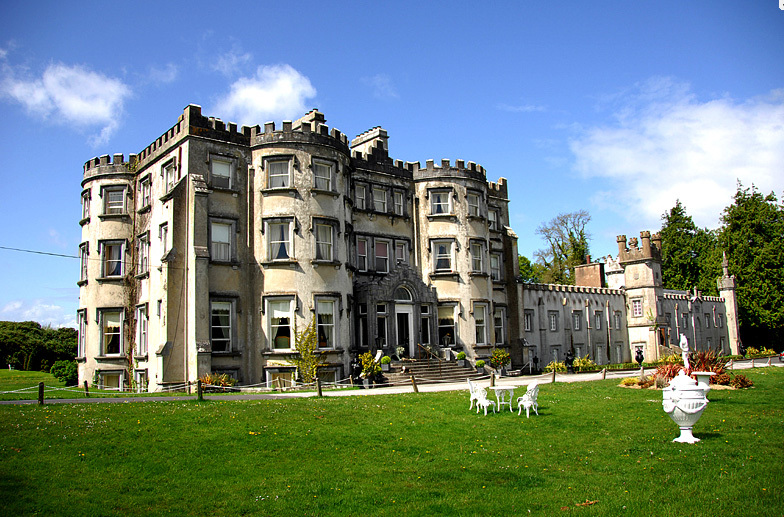 After breakfast, bid farewell to Co. Galway and make your way south to Tralee and your castle hotel. We suggest taking the coast road, traveling through Doolin, and Lahinch. 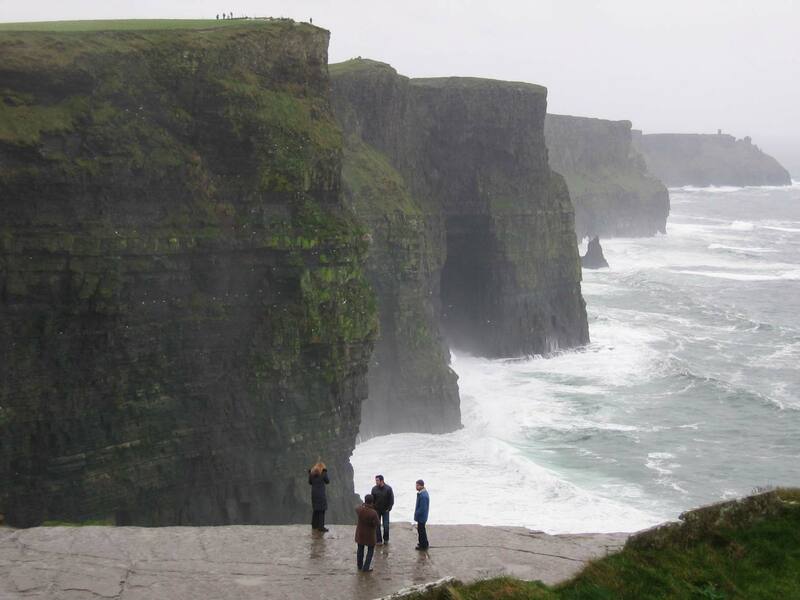 A stop at the Cliffs of Moher is key today! Crossing the Shannon at Killimer to Tarbert will complete your adventure as you make your way. Overnight in Tralee. 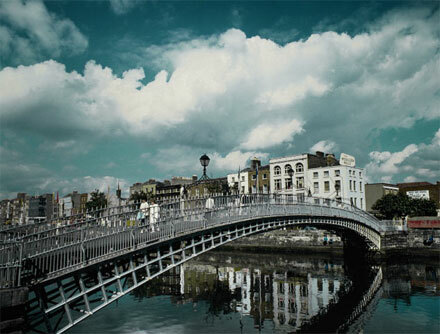 Today your adventure continues as you cross the country and make your way to the Capital of Ireland, Dublin. Drop-off your rental car at the convenient Dublin location and taxi to your hotel (taxi not included). We have included admission to the new Epic Museum here today...a fabulous account of Irish emigration. Overnight in Dublin. Bid farewell to Dublin and Ireland today as you make your way to the airport via your pre-booked transfer! Take advantage of last minute duty free shopping before customs pre-clearance in Ireland. Your tour land price is per person based on two (2) people sharing a twin or double room with economy car. The departure date listed is the date touring begins.